Call me a foodie nerd, but I am geeking out over here: real, ripe tomatoes are finally in the markets, fresh herbs are so abundant they need to be harvested daily just so they don’t take over the garden and the squash blossoms are ready to be picked. Summer eating is in full swing and the bounty is ripe, making it easy to throw together quick meals of fruits and vegetables anytime of the day. The permutations are endless and always satisfying, given the quality of food available right now. 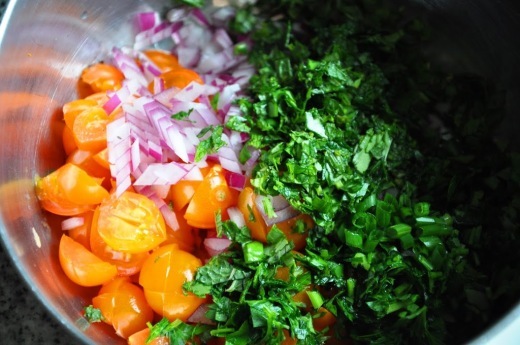 This time, I made a quick relish of sweet, chopped Sun Gold tomatoes and fresh mint, basil and parsley. 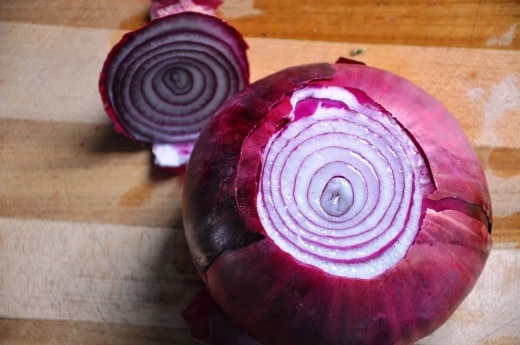 A little bite from red onion and brightness from lemon juice was enough to round out the flavors. 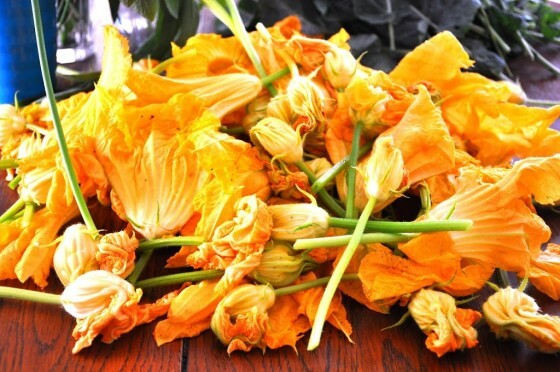 Then I took the tender yellow blossoms Renata harvested from her garden that morning and sautéed them in butter. I poured over some beaten eggs, folded in a bunch of chives, dotted the top with crumbled goat cheese and baked it until it was puffed and brown on top. 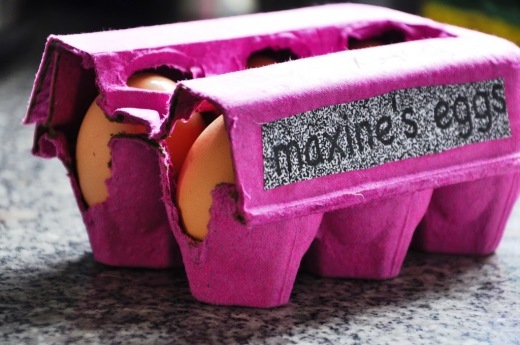 But of course, these weren’t just any eggs, they were the most gorgeous latte-colored eggs from a chicken called Buffy, given to me by my very generous, food-loving, 5thgrade friend Maxine. Cut into big wedges, the top strewn with the tomato relish and enjoyed on the sunny deck, this is what the Salivating Seattleite is all about. Assemble the tomato relish. 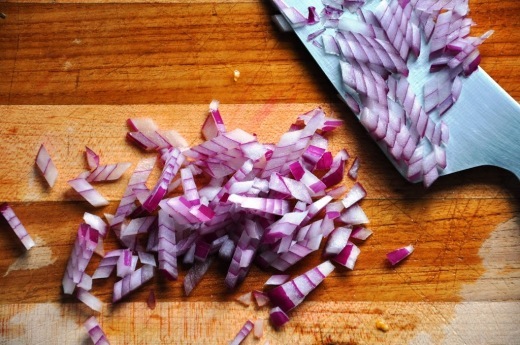 Toss the relish ingredients together and add salt and pepper to taste. Allow to marinate for at least 30 minutes. Prepare the blossoms. Fill the sink with room temperature water and add the vinegar. 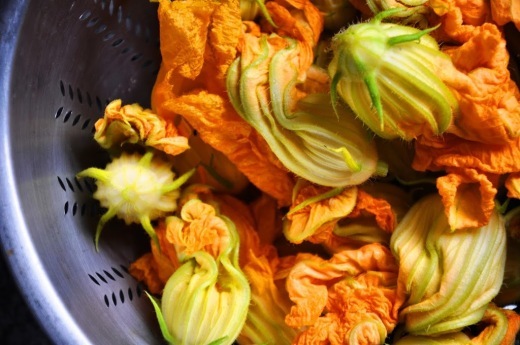 Add the squash blossoms and swirl around to wash off any bugs or debris. Allow to soak in the water for 5 minutes, then remove and pat dry with a kitchen towel. Sauté the blossoms. Move a rack to the middle of the oven and preheat the broiler. In a nonstick sauté pan, melt the butter over medium high heat. Meanwhile, slice the blossoms into ½” thick ribbons and toss into the butter. 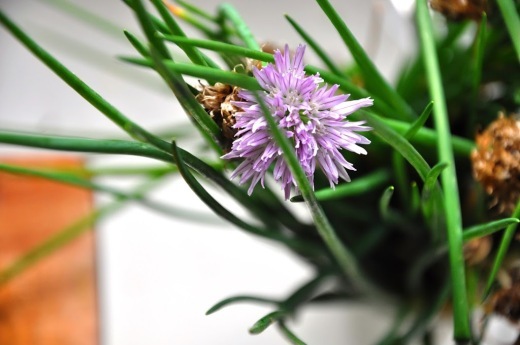 Add a generous pinch of salt and pepper and sauté until the blossoms have wilted and are tender crisp, about 2 minutes. 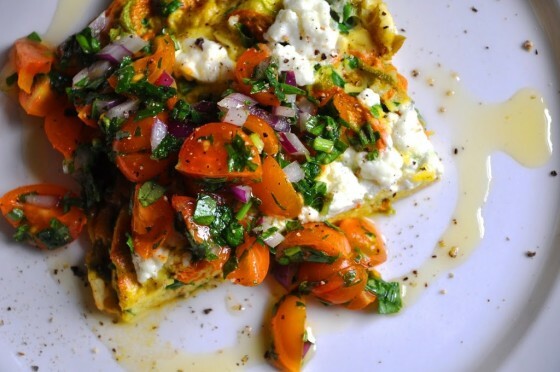 Cook the frittata. 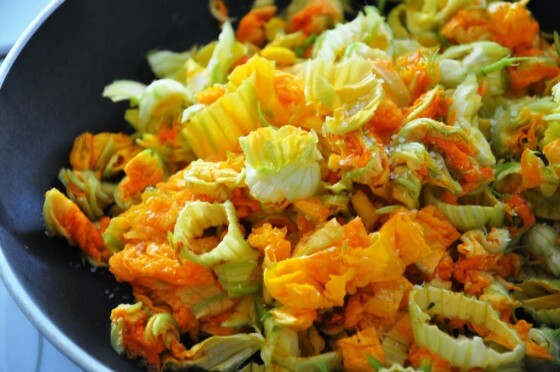 As soon as the squash blossoms are cooked, add the eggs and chives and stir with a rubber spatula. 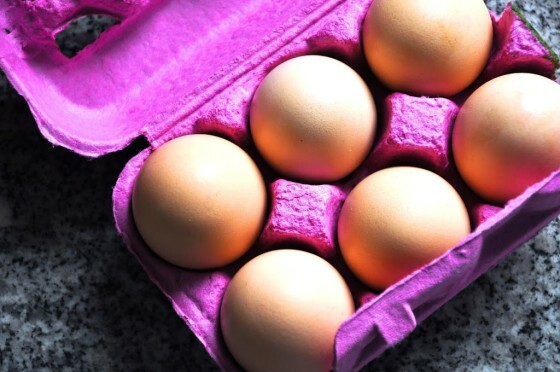 Cook for 3-4 minutes until the eggs begin to set but are still runny. 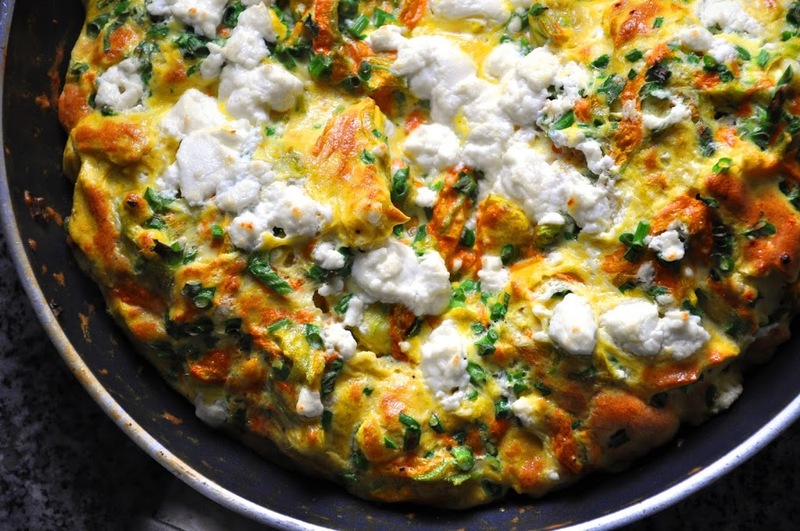 Crumble the goat cheese over the top and set under the broiler for 3-4 minutes until the top is browned and the frittata has puffed up. 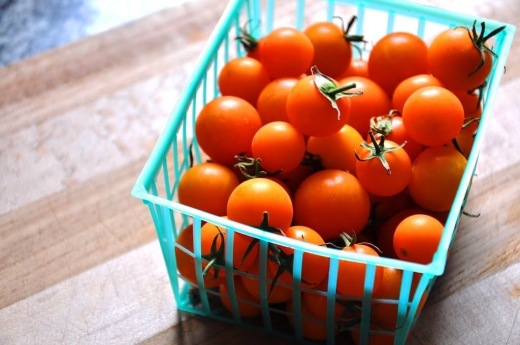 Serve hot or room temperature, topped with the tomato relish.